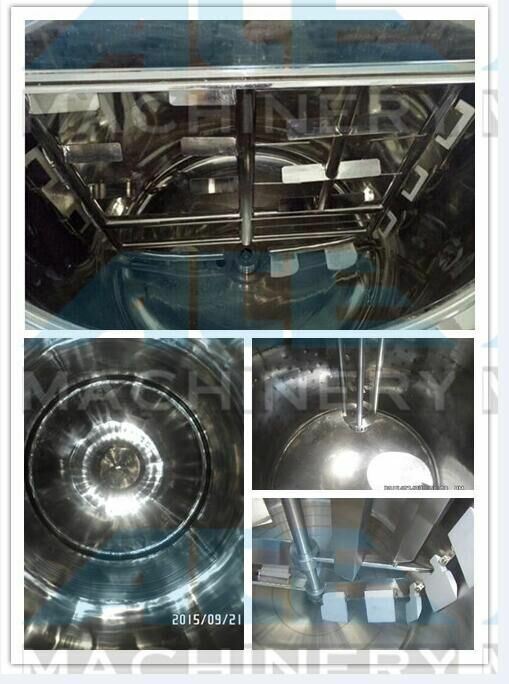 Jhenten is professional manufacturer for all kind of stainless steel tanks, such as mixing tank, reactors, storate tank, fermentor, bioreactor and CIP. Jhenten is the one of the biggest manufacturer for stainless steel tank in China, who has three factories in Shanghai. It is used for mixing all kinds of liquid products in pharmaceutical, food, chemial and biological fields. 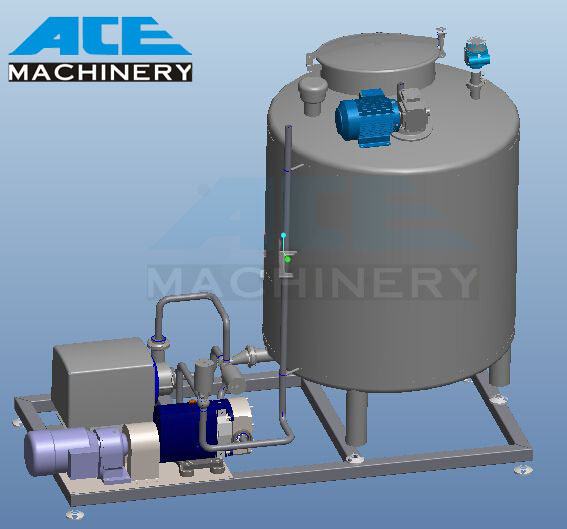 One tank can install one agitator, if client need, one tank can install two agitator together. Surface finish: Inside surface is Ra0.28~0.6μ M by mechanical Polish. (passivation or electropolish are optional). Outside surface is Ra0.6~0.8μ M by satin finish. 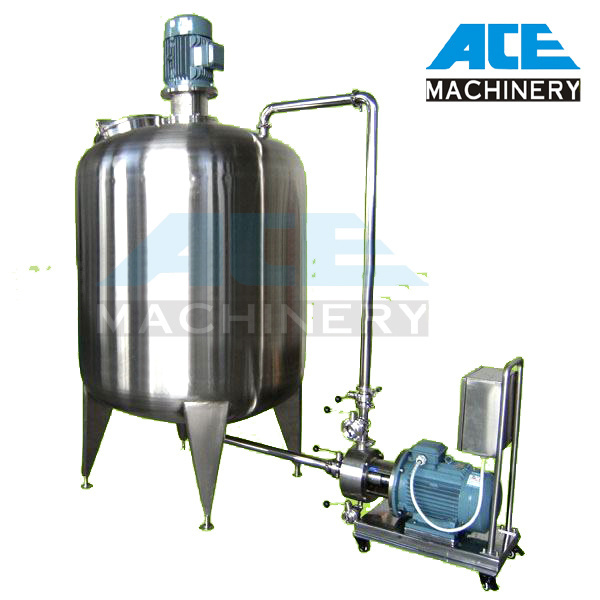 Wenzhou Ace Machinery Co., LTD supply Mixing tanks ,Reactor tank, fermentation tank, Inline homogenizer, High shear emulsifier mixer, ,Jacket cooking kettle, milk cooling tank sanitary fittings,etc. Widely used in many fields, such as dairy, beer, food, pharmacy, beverage, cosmetic etc.,exported to America, Europe, the Middle East. Wenzhou ACE Machinery Co., Ltd is founded in 2008 which is integrating scientific research, design, development, production, installation, after-sale service and consultation, is a high-tech industrial economic entity specializing in producing machinery, equipment and fittings. Its diversified and high quality products have met various demands in the fields of pharmacy, biology, chemical industry, food, dairy, beverage etc. Wenzhou ACE Machinery Co., Ltd., is a high-tech industrial economic entity specializing in producing machinery, equipment and fittings. Its diversified and high quality products have met various demands in the fields of pharmacy, biology, chemical industry, food, dairy, beverage etc. With the rapid progress of science and technology and the booming development in the information age, by adhering to the traditional operation concept and relying on rich experience in technology, we specialize in producing various tank products for traditional Chinese medicine extracting and concentrating, preparations and fine chemicals, packing machinery, small and medium-sized production lines and other series of products. All procedures including function design, energy data, material selection, welding technology, in-process quality control and appearance beautification are carefully planned and strictly controlled. The products are comparable to those in Europe, America, Japan and other countries and areas. The product quality conforms to the sanitation inspection standards for auxiliary equipment used in food, dairy, beverage and other industries.